Because they are so unique, Wikki Stix will fascinate, intrigue, inspire and engage kids, encouraging them to use their creativity and imagination. Simply made of wax and yarn… yes, that simple… Wikki Stix twist, bend and STICK… with just fingertip pressure. Kids can press them onto paper for flat designs and pictures, and peel them up easily to make changes or corrections. They are much cleaner than finger paint and offer more fun than crayons. Kids can make fridge-worthy art in a flash! And speaking of fridge-worthy art… Wikki Stix can be used to stick the paper right onto the fridge… or make a design directly on the fridge! Talk about refrigerator art! 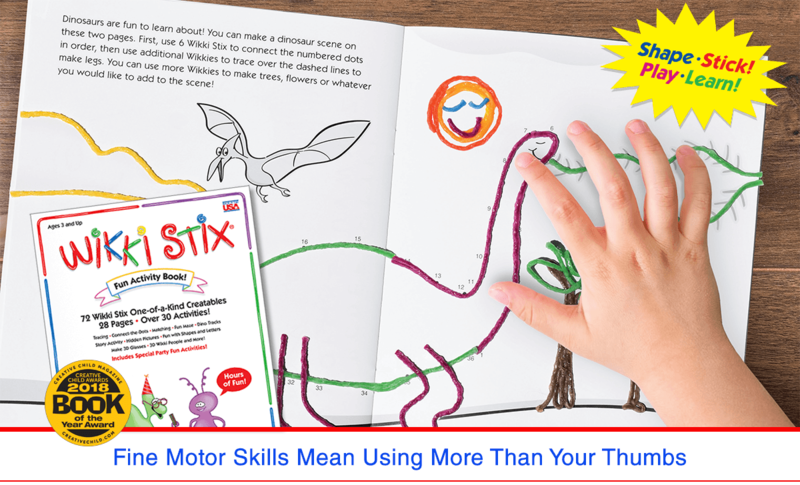 The brand new Wikki Stix Activity Book is a great starting point for younger kids, having been created with the input of a 30-year kindergarten teacher. 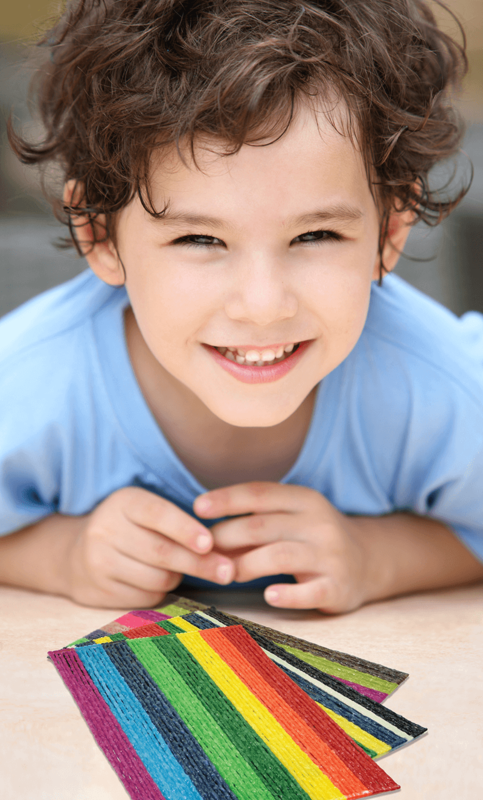 The book helps children learn color recognition, visual discrimination, plus number and literacy awareness and more … all with the use of fine motor skills. The Activity Book is the only activity book with Wikki Stix. 72 to be exact. Included are matching activities, dot-to-dot designs, shapes and letters, story activities, 3-D creativity… and so much more. Moving from simple connect- the-dot activities to independent creative designs… is just a twist, bend and stick!